The Global Volcanism Program has no activity reports for Trindade. The Global Volcanism Program has no Weekly Reports available for Trindade. The Global Volcanism Program has no Bulletin Reports available for Trindade. 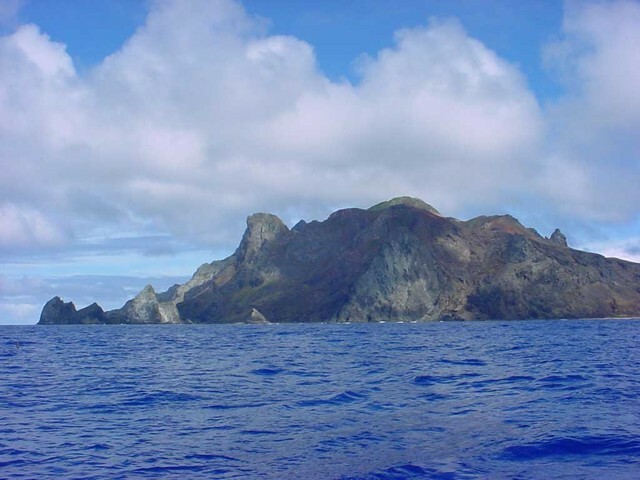 The small island of Trindade lies more than halfway between Brazil and the Mid-Atlantic Ridge at the eastern end of the Vitória-Trindade Ridge, an E-W-trending chain of submarine volcanoes and guyots extending about 1,100 km from the continental shelf off the Brazilian coast. It is a dissected volcanic island with numerous phonolitic lava domes and steep-sided volcanic plugs. The youngest volcanism, at Vulcao de Paredao on the SE tip of the island, constructed a pyroclastic cone with lava flows (Almeida, 1961). Remnants of the crater of the cinder cone are still preserved. Lava flows traveled from the cone to the N, where they form an irregular shoreline and offshore islands. Smaller centers of the latest volcanic stage are found in the Morro Vermelho area in the south-central part of the island. Almeida F F M, 1961. Geologia e petrologia da Ilha da Trindade. Dept Nac Producao Min, Rio de Janeiro, Monografia 18, 197 p.
Marques L S, Ulbrich M N C, Ruberti E, Tassinari C, 1999. Petrology, geochemistry and Sr-Nd isotopes of the Trindade and Martin Vaz volcanic rocks (Southern Atlantic Ocean). J. Volcanol. Geotherm. Res., 93: 191-216. Santos R N, Marques L S, 2007. Investigation of 238U--230Th226--226Ra and 232Th--228Ra--228Th radioactive disequilibria in volcanic rocks from Trindade and Martin Vaz Islands (Brazil; southern Atlantic Ocean. J. Volcanol. Geotherm. Res., 161: 215-233. The Global Volcanism Program is not aware of any Holocene eruptions from Trindade. If this volcano has had large eruptions (VEI >= 4) prior to 10,000 years ago, information might be found on the Trindade page in the LaMEVE (Large Magnitude Explosive Volcanic Eruptions) database, a part of the Volcano Global Risk Identification and Analysis Project (VOGRIPA). There is no Deformation History data available for Trindade. There is no Emissions History data available for Trindade. The Global Volcanism Program has no photographs available for Trindade. IRIS seismic stations/networks Incorporated Research Institutions for Seismology (IRIS) Data Services map showing the location of seismic stations from all available networks (permanent or temporary) within a radius of 0.18° (about 20 km at mid-latitudes) from the given location of Trindade. Users can customize a variety of filters and options in the left panel. Note that if there are no stations are known the map will default to show the entire world with a "No data matched request" error notice. Large Eruptions of Trindade Information about large Quaternary eruptions (VEI >= 4) is cataloged in the Large Magnitude Explosive Volcanic Eruptions (LaMEVE) database of the Volcano Global Risk Identification and Analysis Project (VOGRIPA).